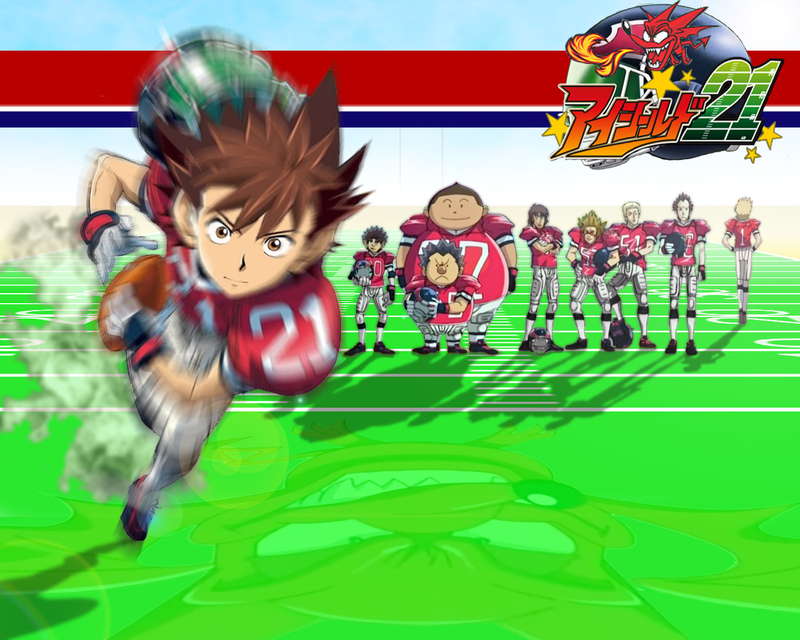 Eyeshield 21 Wallpaper: Deimon's Devilbats Team!! Minitokyo »	Eyeshield 21 Wallpapers » Eyeshield 21 Wallpaper: Deimon's Devilbats Team!! This is my new wall ! Eyeshield21! Im made several screen shots to take the main characters of the team. After that i built the background. i took an example of real stade to make mine. WOW~ tis is a nice wallpaper!! (^__^) thank YOU so much for sharing the wallie wit us! i love eyeshield 21 !!! !